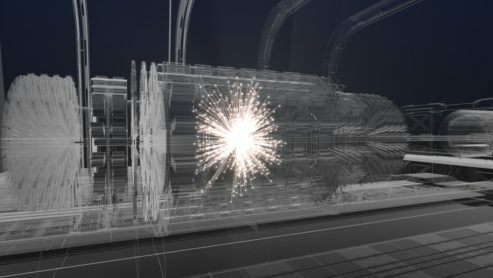 The European Organization for Nuclear Research, more commonly known as CERN, recently published an ambitious proposal to build what could only be described as a mammoth accelerator that’s nearly four times as long and up to six times more powerful as its 27-km Large Hadron Collider (LHC), which studies the tiniest particles that make up all matter, dark matter, and infamously, black holes. The project is yet to be greenlit, but if a recent tweet from SpaceX and Tesla CEO Elon Musk is any indication, The Boring Company could play a part in the construction of the ambitious project. 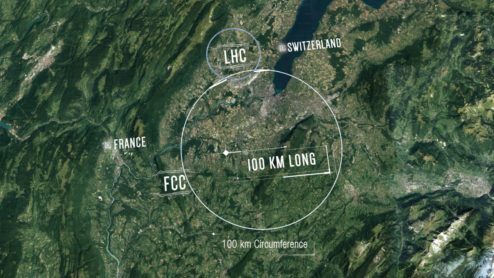 The particle physics laboratory, which operates in a site near Geneva, Switzerland, outlined its plans for the 100-km LHC successor, dubbed as the “Future Circular Collider” (FCC), last Tuesday. The FCC is expected to replace the LHC, whose most notable success so far has been the discovery of the Higgs boson, a previously-theoretical particle that gives mass to all matter. Since the discovery of the Higgs boson in 2012, though, CERN’s Large Hadron Collider has not been able to discover any new particles of the same significance. This, according to Gian Francesco Giudice, CERN’s theory department head, highlights a need to push collider technologies forward. “Today, exploring the highest possible energies with bold projects is our best hope to crack some of the mysteries of nature at the most fundamental level,” he said, according to Nature. The possibilities that could be unlocked by a project as ambitious as the Future Circular Collider could easily come from a sci-fi tale. It would not be an exaggeration to state that the FCC would enable physicists to open the door to as-yet-unknown physics, while helping answer a number of notable questions about the universe. First off, the FCC would help CERN scientists study the Higgs boson more extensively — something that is not possible with the LHD. The project is also expected to allow scientists to explore topics such as dark matter and antimatter. 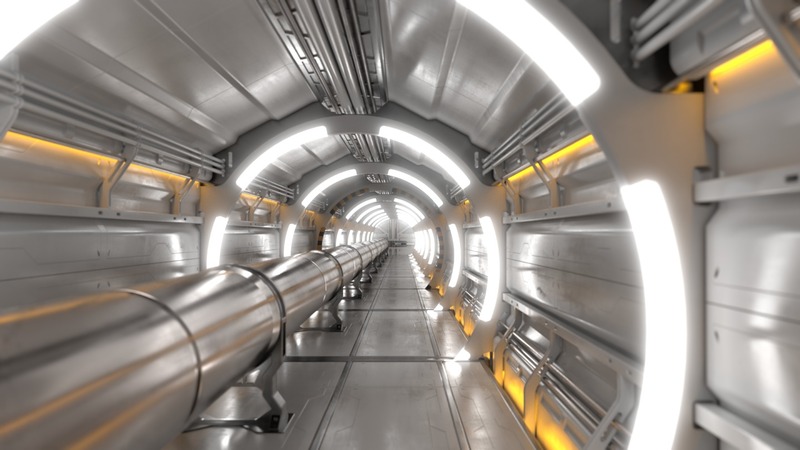 While the possibilities presented by CERN’s proposed 100-km particle collider are vast, the Future Circular Collider does have its fair share of drawbacks — the most notable of which is the cost of the entire project. CERN’s report on the FCC estimates that the project’s tunnels alone would cost €5 billion ($5.7 billion) to build. Another €4 billion ($4.6 billion) is expected to be required for the first collider (which will collide leptons), while €4 billion ($4.6 billion) would likely be needed for the final collider (which is designed to collide protons). Provided that the ambitious project does not meet any substantial difficulties in its construction, the FCC could be operational by 2040. This is where The Boring Company’s technologies could come in. The tunneling startup, after all, aims to reduce the costs of tunneling through optimizations in the digging process. So far, The Boring Company is only involved in projects involving transportation, such as the construction of the high-profile downtown Chicago-O’Hare high-speed transport line. The cost savings presented by The Boring Company’s tunnels were particularly evident when Elon Musk revealed the cost of the startup’s mile-long test tunnel in Hawthorne, CA last December. During his presentation, Musk noted that the Hawthorne tunnel cost $10 million to construct. This is far more affordable than traditional tunneling costs, which cost most U.S. local and state governments an average of $200-$500 million dollars per mile. Granted, the requirements for CERN’s 100-km tunnel would be far more than demanding than the otherwise straightforward tunnels that The Boring Company will construct in the immediate future. That said, the rather generous timeframe for the Future Circular Collider would also give The Boring Company some time to further refine and optimize its tunneling technologies. For now, though, the prospect of CERN’s next-generation LHD’s tunnels being dug by The Boring Company would remain an idea that would only get more plausible over time.